Laurel Carney received her bachelor's degree in electrical engineering from MIT and her masters and doctoral degrees, also in electrical engineering from the University of Wisconsin at Madison. She then took a postdoctoral fellowship in psychology at the University of Pennsylvania, before accepting her first faculty position at Boston University in 1991. She was promoted to associate professor there and was also associate chair of graduate studies. In 2004 she moved to Syracuse University as a full professor in biomedical engineering and neuroscience. 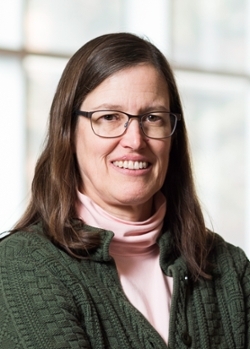 In 2007 she came to the University of Rochester as a full professor in the Department of Biomedical Engineering. She has received numerous honors and awards both for her research and her teaching. She has won outstanding professor of the year awards at both Boston University and the University of Rochester. She is a fellow of the Acoustical Society of America and of the American Institute for Medical and Biological Engineering.